It’s still the first quarter of a new year. That means you have a fresh start and a chance to review the goals you have for your business. If you haven't yet completed your goal-setting process for 2019, it’s not too late. Consider these dos and don’ts to improve your chances of an excellent rest of the year. Beware of vague words like “more” and “less.” How much more? How much less? A good goal has a measurable outcome. You’ll never reach your goal if you ask for “more” because there is always “more.” Clarify your goals by deciding the degree of change you’d like to see. The difference between a dream and a goal is a plan. It’s OK to believe in big ideas. If you want to double the size of your business this year, you can. No goal is too big if you have a strategy. “Strategy” is a fancy word for “how the heck will you accomplish that?” It’s the plan that will get you across the finish line. Here is a hint: You achieve goals by changing behavior. That’s true whether you are trying to lose 20 pounds or increase your revenue by 20 percent. Maybe your marketing behaviors need to change. Maybe your billing, hiring or purchasing behaviors need to change. Maybe a combination of things needs to change. Identify those things when you are setting your goals. Don’t freak out if you don’t have all the answers or if you aren’t sure if something will work. Stephen Covey, business coach, is famous for this example: An airplane is off course 90 percent of the time it is in the air. Sure, it knows precisely the coordinates it is headed, the time it will land and how to get there. However, real-life conditions force pilots to adjust constantly. Real life has turbulence. Imperfect conditions that force you to correct course as you go. Sometimes we are impatient for change. There may be a lot you’d like to see improve, start or stop in your company. Chances are, you want it now. There is no right or wrong to how many goals you should set. Consider though, that the bigger the goals, the more behavior change it will require. Ask if you are putting too much pressure for change on yourself or your employees. If your goals aren’t realistic or require too much change at once, everyone is going to be stressed and overwhelmed. One big goal may make more of an impact on your organization than a dozen small goals. Goal setting should come from the top of the organization. However, getting your team on board will make achieving goals a lot easier. Staff buy-in starts with helping them understand why you’ve set a specific course. “We want to increase revenue this year” isn’t very motivating for employees. However, “we want to increase revenue this year so we can increase benefits” is very motivating. Not every company goal is going to have a direct benefit for the employee, but don’t be afraid to share your reasons. Inspire your team with your vision for the future. Once you have everyone in the company on board, it is wise to include them in the strategy. Have you ever heard the phrase “what gets measured gets managed”? We already talked about the importance of data-driven goals. Now that we have something to measure, we can manage it. We also know that you will likely need to course correct throughout the year. Regular check-ins and benchmarking can help you know when changes are due. That way you don’t get to February 2020 and wonder what happened. Accountability can be as simple as a calendar event reminding you to check your accounting report. It might mean meetings with managers or a call with an accountability partner. How often you check in on your goal progress depends on the situation. Monthly is a recommended place to start. Whatever you do, don’t give up on your goals. Progress may not look like a straight line. Your strategy may need adjusting. 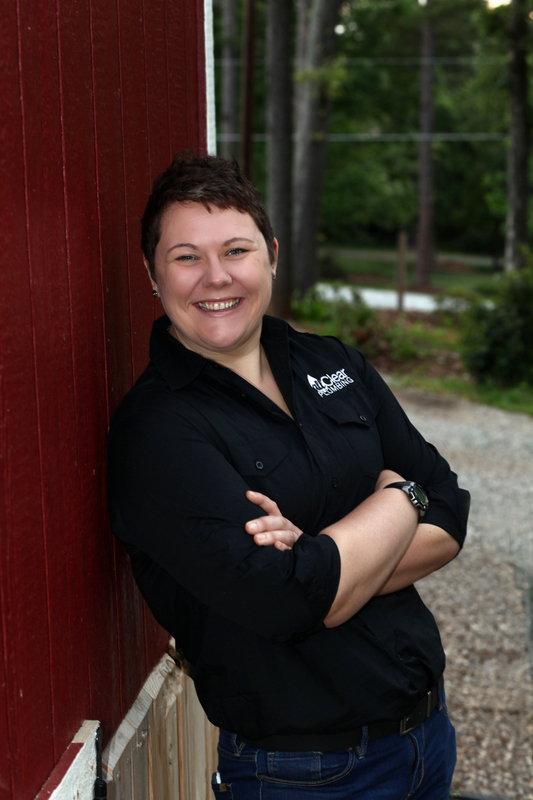 Anja Smith is managing partner for All Clear Plumbing in Greenville, South Carolina. She can be reached at anja@acpupstate.com.